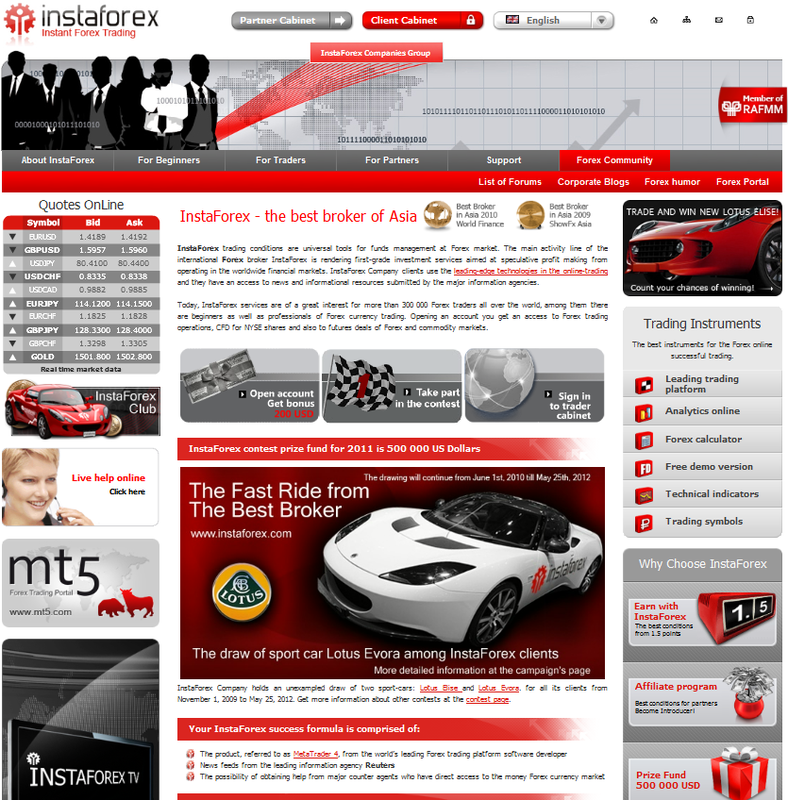 Trading Platforms: MetaTrader 4, MetaTrader 5, Mobile Trading Terminal, MultiTerminal. 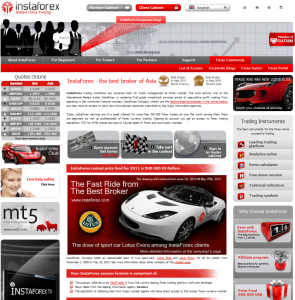 Trading instruments: Forex, Futures CFD, CFD and Metals. - Insta.Standard ( Deposit currency: EUR-USD, Minimum deposit: 1 USD, Maximum deposit: unlimited, Spreads: 3-7, Minimal deal: 0.01 of the lot ). - Insta.Eurica ( Deposit currency: EUR-USD, Minimum deposit: 1 USD, Maximum deposit: unlimited, Spreads: 0, Minimal deal: 0.01 of the lot ). - Cent.Standard ( Deposit currency: USD Cents-EUR Cents, Minimum deposit: 1 USD, Maximum deposit: 1000 USD, Spreads: 3-7, Minimal deal: 0.10 of the lot ( equivalent of 0.0001 market lot ) ). - Cent.Eurica ( Deposit currency: USD Cents-EUR Cents, Minimum deposit: 1 USD, Maximum deposit: 1000 USD, Spreads: 0, Minimal deal: 0.10 of the lot ( equivalent of 0.0001 market lot ) ).